Michael Patrick Francesa Jr. is a Long Beach, New York-born American radio talk show host as well as a television commentator best known for his work as a co-host in the show “Mike And The Mad Dog”. Born on 20th March, 1954, Michael is better known by the name “Mike” professionally. One of the famous radio talk show hosts in America, Mike has been active in his profession since 1987. A successful radio host and television commentator who has worked for media giant WFAN for decades, how rich is Mike as of early 2016? At the present, he counts his wealth at the amount of $4 million. Obviously, most of his wealth has been amassed from his involvement in television and radio as a journalist for more than two and a half decades. To be more specific, Mike’s involvement in American media as a sports commentator has been most significant in earning him millions of dollars in his career. Raised in Long Beach, Mike started his career as a journalist for the magazine College and Pro Football Newsweekly, and then beginning in 1982 he worked for six years under CBS. Although he worked as a researcher whose primary focus was college sports, he was later appointed as a studio analyst for CBS. Eventually Mike left CBS sports to pursue his dream of becoming a radio host at WFAN, initially hosting at weekends talking about college sports like football and basketball. His net worth was growing steadily. Mike started hosting yet another show at WFAN, given the positive reviews he earned from his first show. One of his most notable shows is “The NFL Now”, commenting on the NFL games, and which has been his longest running show as Mike, since 1987. Along with this, he is also famous for commenting and putting his views forward on several sports related programs. 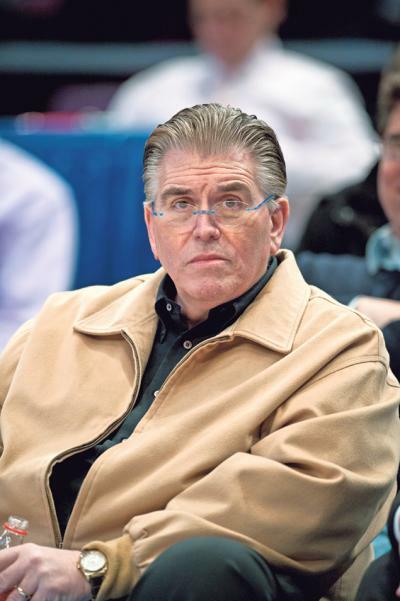 Others of his most popular programs include “Mike’d Up: The Francesa Sports Final” which aired from 2003 to 2011 and “Mike’s On: Francesa On The FAN” which started airing in 2008, among others. Needless to say, all of these radio programs have been pretty significant in adding to Mike’s net worth. During his career, Mike has been rewarded several times for his skillful radio hosting and analytical skills regarding American sports. In 2012, he was ranked at no. 1 by Talkers Magazine in their list of 100 most important sports talk radio hosts in America, and he held onto this title for 2013 and 2014 as well. On top of that, he is also the winner of the Marconi Award in 2012 as the major market personality of the year. This was the second time he had won the award since 2000. As for his personal life, Mike currently resides at Manhasset, New York with his wife Rose and three children. Mike previously married his first wife Kate in 1983 but their relationship ended in divorce in 1994. As of now, Mike has been enjoying his career as one of the highly regarded radio hosts while his present net worth of $4 million has been catering to his life. 1 His voice can be heard over the radio in the Woody Allen film Mighty Aphrodite. He can be heard talking about the Knicks as Lenny (Woody) enters the bar to confront Linda's pimp.